Thank you for visiting my campaign website! Rep. Tim Briggs, 48, is currently serving his fifth term as State Representative for the 149th Pennsylvania Legislative District. 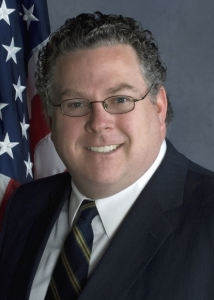 His district consists of Upper Merion Township, Bridgeport and West Conshohocken Boroughs, and parts of Lower Merion Township and West Norriton. Tim currently serves as the Democratic Chair of the Health Committee, the Democratic Vice-Chair of the Appropriations Committee and the Democratic Chair of the Subcommittee of Courts of the Judiciary Committee as well as sits on the Transportation, Professional Licensure and the Tourism and Recreation Committees. In addition to Tim’s legislative committees, Tim also serves as a co-chair of the Life Sciences, Arts & Culture and the Brain Injury Caucuses. 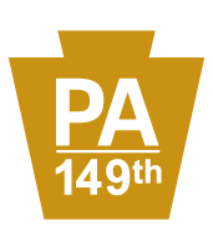 He currently serves on the board of directors for the James A. Finnegan Fellowship Foundation, a statewide organization dedicated to providing scholarships, stipends and internships to Pennsylvania students with an interest in state government. Tim also serves on the Pennsylvania State Planning Board, is the Vice-Chair of the Valley Forge Tourism and Convention Board and an ex-officio board member and of the Greater Valley Forge Transportation Management Association. 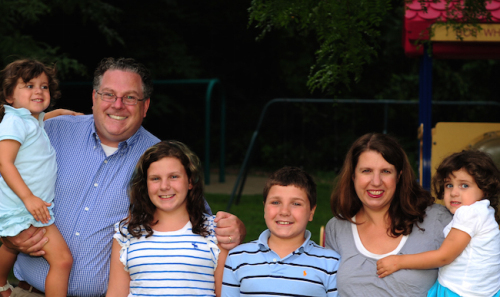 Tim lives with his wife Robyn and their four children, Emily, Jack, Alexandra and Morrison, in Upper Merion Township. Rep. Tim Briggs, 44, is currently serving his third term as State Representative for the 149th Pennsylvania Legislative District. His district consists of Upper Merion Township, Bridgeport and West Conshohocken Boroughs, and parts of Lower Merion Township. Tim currently serves as the Subcommittee Democratic Chairman on Transportation Safety within the Transportation Committee. He is vice chairman of the Policy Committee and sits on the Professional Licensure, Finance, and State Government committees. Additionally, Tim is a vice chairman of the Southeastern Democratic Delegation. During his time in the House, Tim has drawn on what he knows best, his family, to become a leading champion for kids in the Pennsylvania General Assembly. He has consistently advocated for public education, early childhood education and has introduced legislation focused on improving the lives of children. As a freshman, Tim was able to get a law enacted that would help to keep siblings in foster care together when they are placed into foster homes. Some of the other issues he has worked on include the addressing dangers student athletes face from concussions and improving gender equity in school sports. In 2009 he received the Early Childhood Education Champion Award from the Montgomery County Child Care Consortium in appreciation for his advocacy and commitment to high quality early childhood education. Tim is a proud member of the Green Dog Caucus, a strong coalition of environmentally-conscience legislators in the House. In 2010, Tim was ranked the top environmental legislator in Pennsylvania by the Sierra Club’s Pennsylvania Chapter. He is a steadfast advocate for greener policies to create more environmentally friendly practices. He is a strong proponent for a responsible severance tax on the gas companies who drill in the Marcellus Shale and an increased investment in the green economy to create jobs while lessening our dependence on foreign oil. Public service and community involvement have been priorities for Tim throughout his career. For several years, Tim served as a volunteer firefighter and sat on the board of directors for Big Brothers Big Sisters in Montgomery County. Before serving in the House, Tim served as an advisor to then-Congressman Joe Hoeffel and state Sen. Connie Williams. As a representative, Tim has strived to continue in their tradition of outstanding public service in Montgomery County by being open, accessible and offering a wide array of constituent services in his office. Tim is a proud graduate of the Pennsylvania State Higher Education System. He received his undergraduate degree in political science from West Chester University. At 30 he returned to school and, while still working full time, earned his law degree from Temple University’s Beasley School of Law. He joined the law firm Hamburg, Rubin, Mullin, Maxwell & Lupin as an associate in January 2008. In 2011, Tim was invited back to West Chester to serve as a Legislative Fellow and now lectures in the political science program. 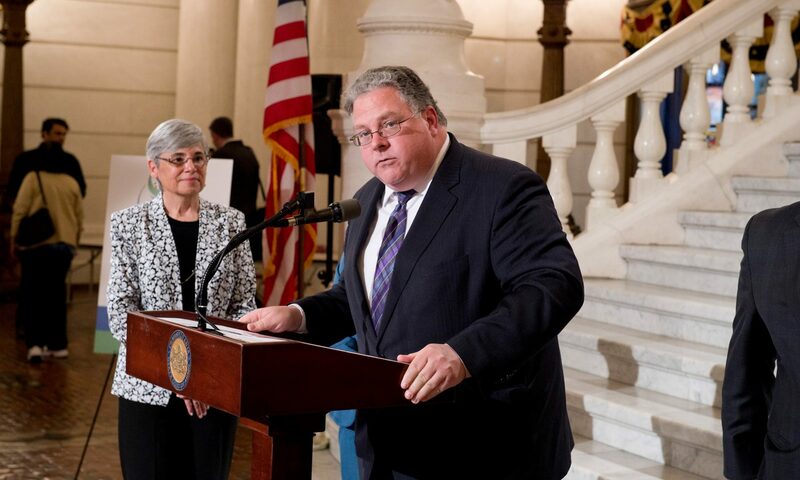 He currently serves on the board of directors for the James A. Finnegan Fellowship Foundation, a statewide organization dedicated to providing scholarships, stipends and internships to Pennsylvania students with an interest in state government. Tim also serves on the Pennsylvania State Planning Board and is an ex-officio board member of the Bryn Mawr Film Institute and of the Greater Valley Forge Transportation Management Association. Tim lives with his wife Robyn and their four children, Emily, Jack, Alexandra and Morrison, in Upper Merion Township. Thank you for your interest in helping out Tim Briggs’ campaign for State Representative. We need your help to win this election — and change our community for the better. Fill out the information below and let us know how you can help! © 2014 Tim Briggs For State Representative. All Rights Reserved. Paid For By Tim Briggs For State Representative.